What are the difference between Woven Labels and Embroidered Labels? Woven Labels are made by weaving loom to create both logo design and background fabric label. Embroidered labels are partly made by hand, are stitched onto a fabric label. Woven Labels are soft against skin, can achieve a detailed high-definition woven image. 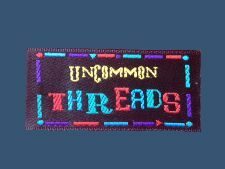 Embroidered labels look heavier and chunky because they are stitched by thick threads; embroidered labels or patches are often used for sportswear and are put outside of clothes. Woven Labels can be custom-made in any colour, design, texts, logo, and size. The threads we use to produce woven labels are soft, thin and fine threads quality. Most fashion brands choose to use woven damask labels to add a professional finishing touch on their textile products to reflect the quality of their garments and the style of their brand. 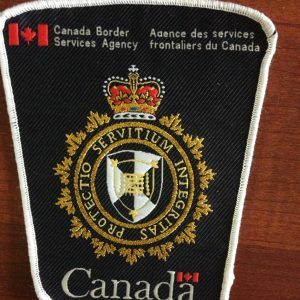 Embroidered patches are partly made by hand; this label cannot achieve detail woven image due to the fact that embroidery label threads are thicker. This stitching process can create a good 3D effect on label is because the logo are stitched on to a fabric label. If you are looking for classic, vintage look label patches, then embroidered label is the one for you. Both Woven labels and embroidered labels can have iron-on backing, self-adhesive backing. Visit our website page regarding Woven Iron-On Labels, click here. Woven Iron-on labels can be used for child’s name labels, school clothes, sports clothing, socks, and hats. Woven iron-on fabric labels are very simple to use, just peel and iron it right onto the fabric.